JIMS PGDM students went for an industrial visit to Bisleri plant at Sahibabad on 19th July 2016 along with the faculty. 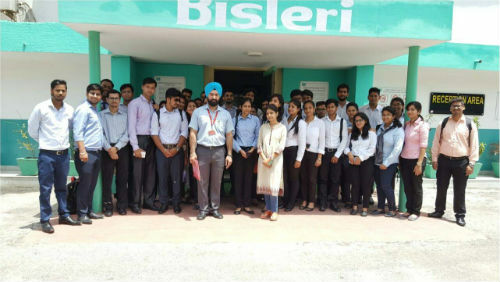 At the plant, students were initially briefed about Bisleri and then were taken around the production plant. Students were explained and shown various stages of water purification, bottling, packaging and labelling processes. They were also taken around the production unit of Bisleri Soda and bottle manufacturing unit. Overall it was a great learning experience for the students who now look forward for more such visits in future.